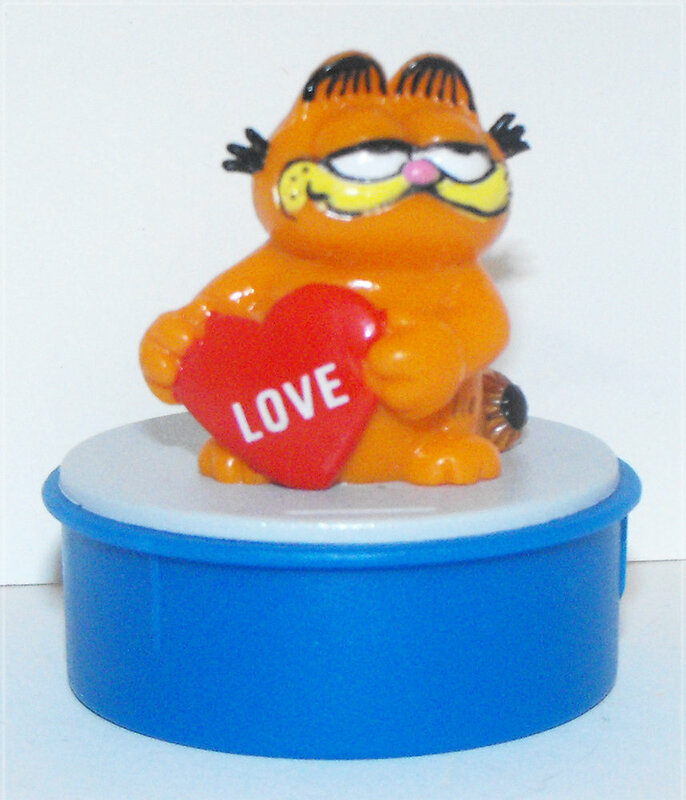 Garfield Holding Heart "LOVE" Blue Ink Stamper, about 2 inches tall. The ink is most likely dried up, but you can add ink to it. This figurine is vintage, brand new and never used. This ink stamper comes loose without any packaging or tag.